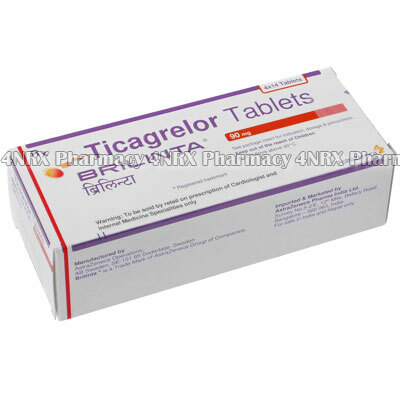 What is Brilinta (Ticagrelor) used for? Brilinta (called Brilique in Europe) is used together with aspirin to prevent atherothrombotic events (problems caused by blood clots and hardening of the arteries) including heart attacks or strokes. It is used in adults who have had a heart attack or have unstable angina (chest pain resulting from lack of blood flow to the heart). How should I use Brilinta (Ticagrelor)? Brilinta is a 90mg tablet and comes in a pack of 14 tablets. Take the dosage that you have been prescribed by your doctor. This will be a specific dosage to take each day. Your doctor will also prescribe a dosage of aspirin to take with Brilinta. What are the side effects of Brilinta (Ticagrelor)? Tell your doctor of any cardiovascular issues, liver problems, lung or respiratory issues you have. Also check with your doctor if you are pregnant or breast-feeding. Taken Brilinta in these cases can lead to complications. Brilinta is commonly used with aspirin for their combined effect.